Shani Amavasya is the no moon day that falls on a Saturday or Shanivar in traditional Hindu calendar. 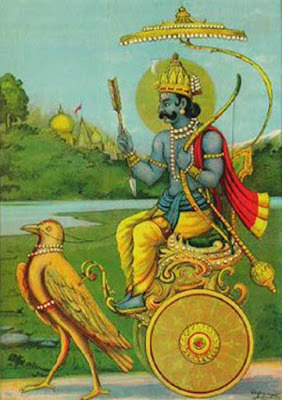 In 2019, Shani Amavasya date is January 5, May 4 and September 28. Amavasya is considered inauspicious by many Hindu communities and the fear of Lord Shani is well known as he is believed to create havoc in the life of people. So Amavasya falling on Saturday is considered highly inauspicious by some people. Shani Amavasya is keenly followed by people who believe in astrology. People suffering from Pitra Dosh and Kaal Sarp Dosh conduct remedial pujas on the day. Various other rituals dedicated to Lord Shani are performed on the day. The day is also considered ideal for performing Shradh and Tarpan for dead ancestors. Famous Lord Shani temples like Shani Shingnapur and Thirunallar Shani Temple attracts a large number of devotees on the day. Donating black things on the day is considered good for people suffering from the bad positioning of Shani in the horoscope - black clothes, black lentil, black fruit like jamun, black sweets etc can be distributed to the poor and needy. Performing food donation today helps in escaping from the wrath of Shani. Made at least one food item is made using black lentil. Black colored umbrella should be donated to poor children. Feeding animals and fish helps in pleasing Shani Bhagavan. Donate black gulab jamun or imarti (orange color sweet like jalebi) to poor people. Take holy dip in a sacred river. Then offer prayers to Ganesha, Vishnu, Hanuman, Peepal tree. Visit a Shani temple and offer prayers. Offering water to peepal tree on the day is highly helpful. Another option is to plant a peepal tree and take care of it. Charity, offerings and food donation done on the day will help in getting Akshaya Punya (Punya that is never diminishable). There are numerous theories regarding the effects of Lord Shani on one’s horoscope. But there are also people who consider Shani Bhagavan as just one of the Navagrahas and believe that there is nothing to worry about. If you feel you are under the malevolent effect of Lord Shani, the easy escape from it is by praying to Lord Hanuman. There are crooks in the guise of astrologers, swamis and priests who take undue advantage of people on such occasions. They instill fear in the minds of people and blame everything on Shani effect and promise to take care of all problems by conducting costly pujas. Do not fall into such traps. Good times and bad times are part of life. Keep faith in the Supreme Power and you can overcome it.